The driver’s and passengers’ safety is a matter of greater importance than potential financial loss or unplanned servicing and repair expenses (we’ll touch upon these later). Safety of rebuilt cars is frequently questionable, for a number of reasons. Primarily, because in case with a rebuilt title car (or any other vehicle type) being safe or not depends of the state’s law that regulates titling of rebuilt salvage, junk, dismantled or builders vehicles. In every state, a vehicle must pass an inspection at the DMV, State Highway Patrol or at the inspection facilities authorized by these bodies. However, the inspection procedure addresses safety and mechanical issues not in all states. For example, when you apply for the rebuilt title in Ohio the only purpose of the inspection is to verify that no stolen parts were used in repairs, but not to ensure safety or the quality of repair (which is clearly stated on Ohio BMV site). And if they turn out stolen or some parts raise questions, either the parts of the vehicle will he held for further investigation and possibly seized for forfeiture. However, there is no use in that for a potential buyer of that rebuilt vehicle. For example, the vehicle may have a missing airbag or have another serious safety issue, and, unfortunately, that vehicle can be legally driveable and you’ll have hard times finding grounds for suing the dealer who rebuilt and then sold the car to you. (There were such incidents with rebuilt cars in Ohio). Unlike in Ohio, in Nevada rebuilt vehicles have to meet federal standards for air bags and seat belts. Some states also require to provide repair receipts or any other proof documentation ensuring that repairs were done by professionals at a certified body shop, which somehow ensures rebuilt title safety. Some states, like Ohio or New York don’t. One the other hand, Texas which has been notorious for title washing scams, and Michigan have very strict requirements on which vehicles are eligible for repairing and which are not, as well as the standards for roadworthy vehicles. 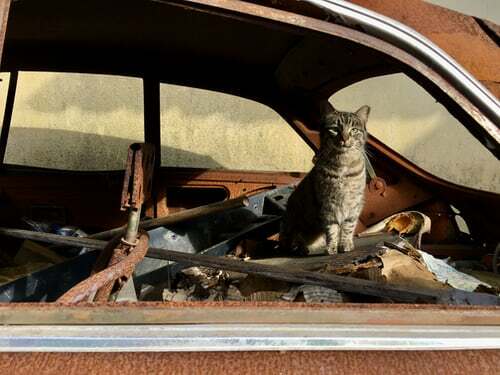 In most states, junk cars are non-repairable and can be used for parts only. In some, like Florida, they can be rebuilt and titled, although the affix Rebuilt Junk should remain on the title permanently. So, is a rebuilt title safe to buy? Perform VIN check to get the vehicle history report and find out why the vehicle was written of, what kind of damage it suffered, whether it was towed or not, etc. Find out as much as possible about the damage. If it wasn’t minor, don’t take the risk, unless your are a mechanic and know the cars from inside really well. Please not that car history report companies often have the information about the accidents and damages reported to insurance companies or for vehicles still under warranty. If the vehicle wasn’t insured a damage can remain unreported. Find out the requirements for rebuilt vehicles in the state where the vehicle was titled. Read about the purpose of state inspections for rebuilt vehicles - do they address safety and technical condition? You can read about rebuilt titles in different states here. Never rely on what the seller is telling you. His purpose is to sell, nothing more than that, yours - to drive safely and spend as little as possible or maintenance. Hire a trusted mechanic to inspect AND test-drive the car for you, ask for an estimate and how much it should actually be devalued and how much you’ll have to spend to put it into an operable condition. An expert will notice things you would never think of yourself. Many companies will refuse to give you full coverage, but some will. However, if you have to file a claim, be ready to fight for the full amount and not for 50% or 25% of ACV.